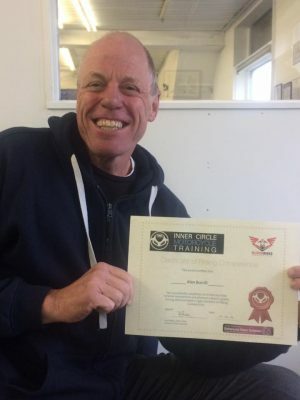 | More Motorcycle Test Passes and another Blood Bike rider trained! Home > News > More Motorcycle Test Passes and another Blood Bike rider trained! It’s been a busy week (as is now the norm!) for Inner Circle Training as over the course of the last 3 days we had another rider obtain his Enhanced Rider Scheme band “A” grade to qualify him to ride for Blood Bikes Manchester, and 2 riders pass their motorcycle test to get their full licences! First up was Alan, who has been riding for many years but hadn’t taken any training after he passed his test. 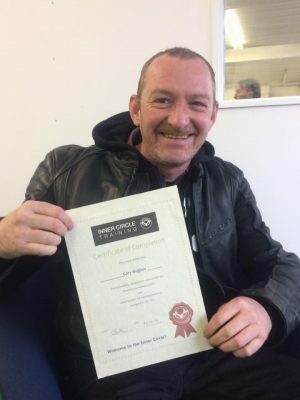 He wanted to volunteer his spare time to help Blood Bikes Manchester in their quest to save the NHS a small fortune by offering a free out-of-hours delivery service for blood, breast milk and other essential supplies and so needed a qualification to prove he can ride to the high standard required. 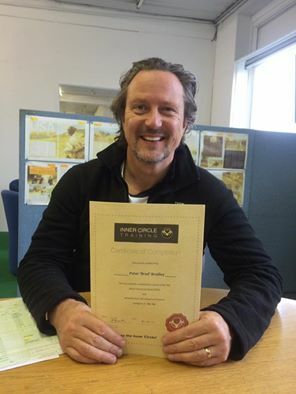 Alan took our 6-hour “ERS Training & Assessment” course and during the first 3-hours learnt a number of things that helped him further improve the smoothness of his riding prior to the final assessment. His comments at the end of the course that he’d learnt a lot more than he expected – and how much he’d enjoyed the experience – sentiments echoed by many who have taken advantage of this course! Next up was Cory, who wins the award for the biggest smile after passing his module-2 motorcycle test which allowed him to remove the L-plates from his lovely Yamaha MT01! It also allows him to head to the dealer to buy his dream bike, a Yamaha MT07, which we look forward to seeing at a future bike night! A member of the “Hefty Hamptons Motorcycle Club” he is perhaps most delighted that the banter about his “L-ooser Plates” will now cease! Finally, today saw Peter “Brad” Bradley step up to the plate to take his motorcycle test. He performed very well indeed, obtaining a coveted “Double First” after passing this test at the first attempt to match his first-time module-1 test pass from last week. Another rider with his own 125, he is now on the hunt for something that can “pull the skin off a rice-pudding” as he put it! We look forward to seeing what he chooses! Brad looking decidedly pleased with himself, as so he might having obtained a “double first” by passing both motorcycle tests first time!